This giveaway is open to the Continental US only (because of shipping costs) and will end on April 7th, 2015. The Original size to grow watermelon, squash and tomatoes. Love that it is reusable year after year. 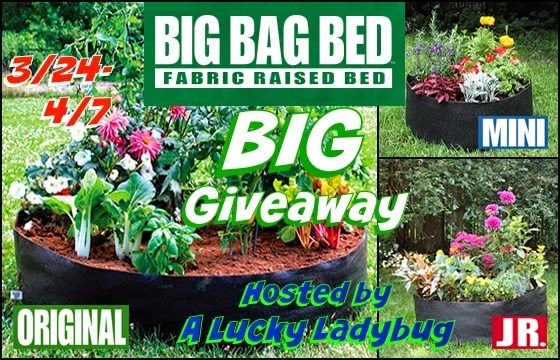 I would get the big bag I would probably try to do a small garden I live in the city dont need much but would love to try! The mini for my little area would be great. Hello, I would love the original size and I think I would put a perennial crop in there like asparagus or rhubarb. Thanks for a great giveaway! I would choose the original and plant tomatoes.I always plant a row of them and they go to waste since I am the only one that eats them.This would keep me planting just the right amount! I want the largest size to grow tomatoes on my deck.